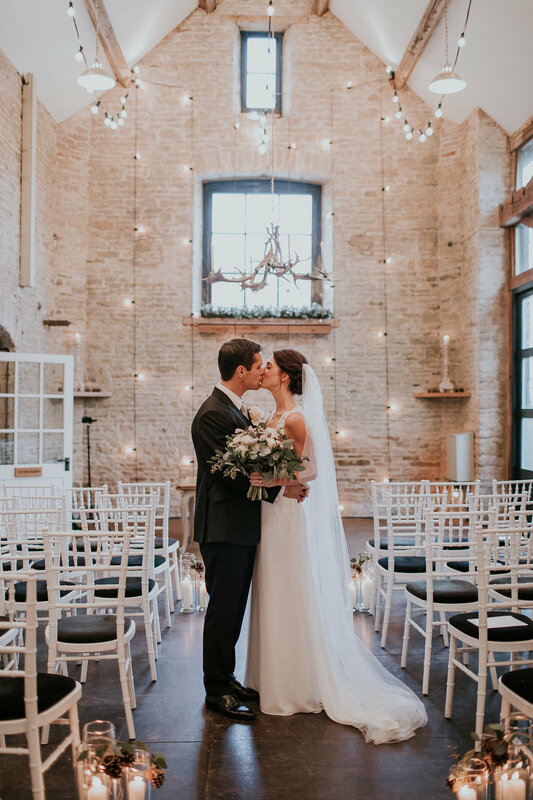 How gorgeous is Alice & Mark's rustic luxe barn wedding at the breathtakingly beautiful Cotswold venue, Merriscourt!? It was lovely to see it all come together from the save the dates done in December 2015 to invitations and finally the on the day stationery. 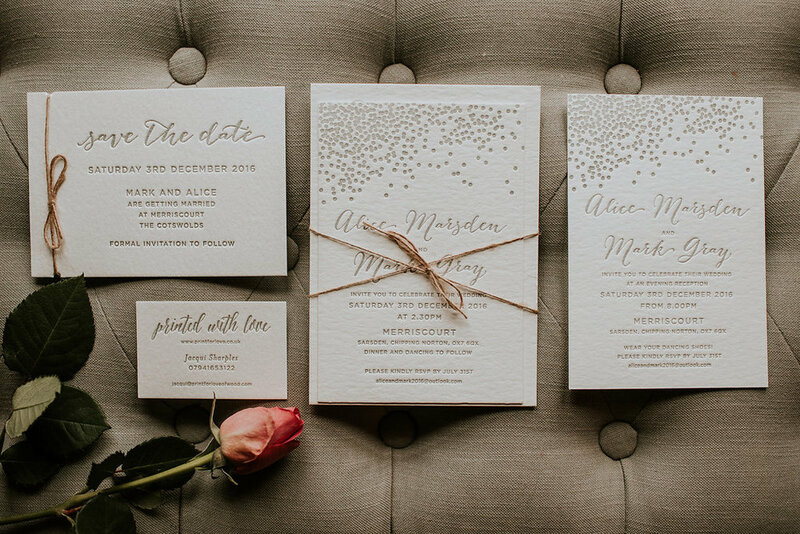 Alice and Mark chose a simple but elegant save the date in Style A from the Natural Elements Collection, printed letterpress in matt silver ink with fine twine and brown kraft envelopes. 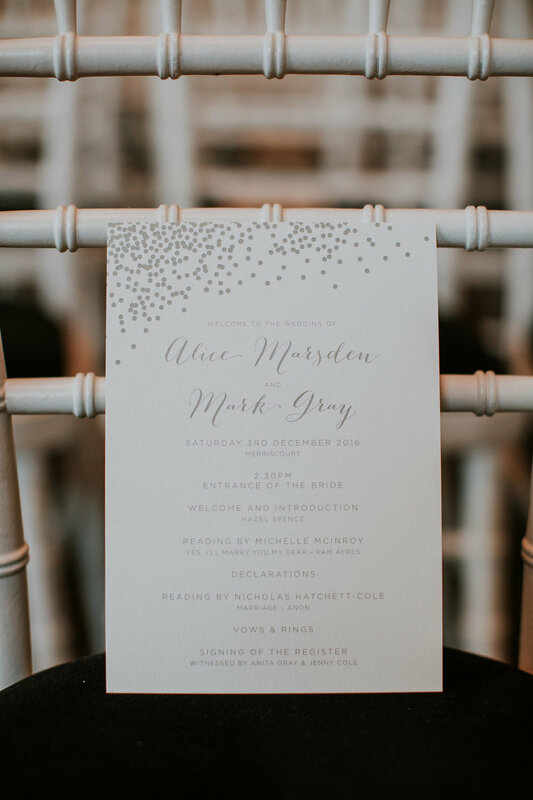 We carried the theme through to the invitations adding a flurry of dots to give an elegant winter feel. 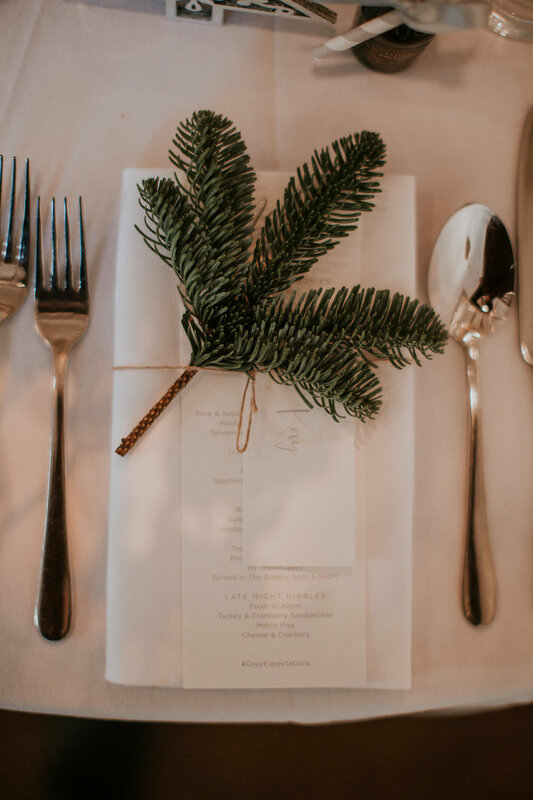 The on the day stationery was printed digitally in silver grey, table plan cards, order of ceremony, menus, name tags and signage all given the final touches by Alice who displayed them beautifully in elegant silver frames and added sprigs of spruce. 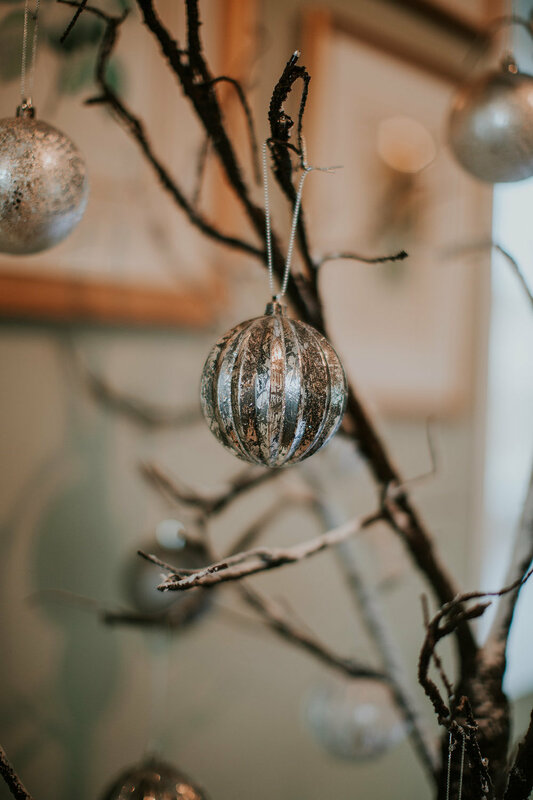 For a guest book Alice and Mark got everyone to sign a bauble and place it on the Christmas tree. Such a great keepsake. 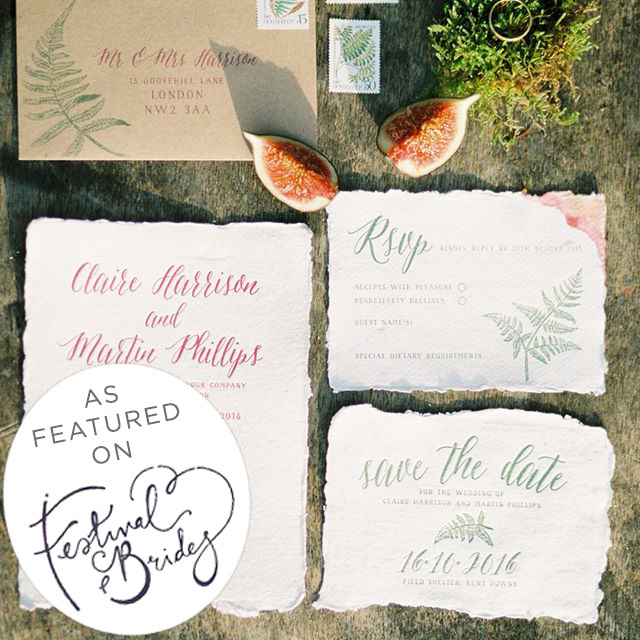 Also thanks to Dan for taking so many beautiful pictures of my stationery! 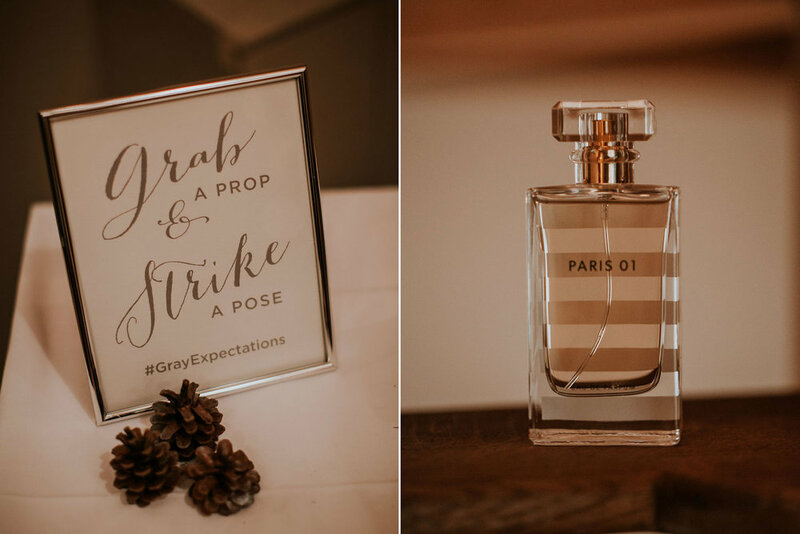 I loved working with Alex on their winter wedding stationery, she's funny. bubbly and marrying a Northern lad. Dan is originally from near me, she has good taste! They chose The English Garden Collection printed in silver ink but with an added monogram and lots of flourishes on the lettering. A soft grey tissue lined. cotton white envelope and pewter belly band for the finishing touch. Alex & Dan where married in the lovely Grade 1 listed 18th century country house, Kirtlington Park, set in historic parklands with far-reaching views over the Chiltern Hills. Look at that reception room, simply stunning! The main colours for the wedding where silver/greys and shades of white, I love how the flowers help bring the accent colours together. 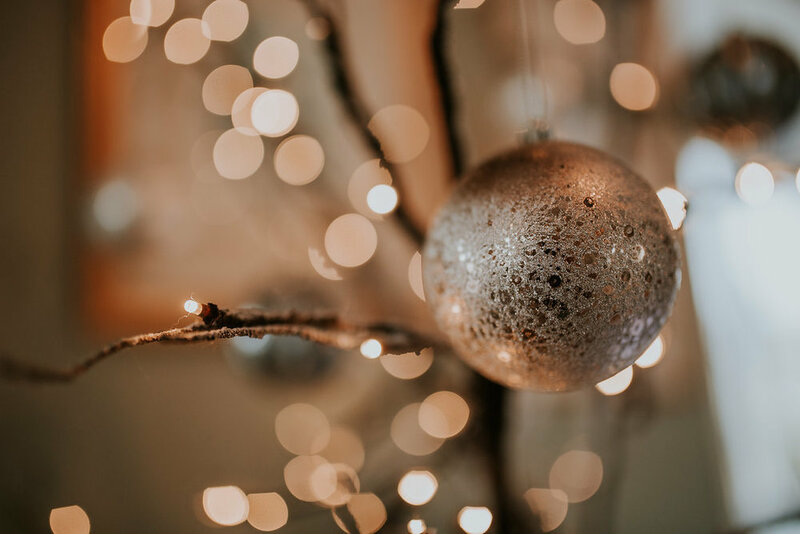 For the table plan, the tables where named after our favourite Christmas songs, white baroque frames are great for display, you can also put them to good use afterwards.